Introduction"Naturalness is called the Way.The Way has no name or form; it is just the essence, just the primal spirit. 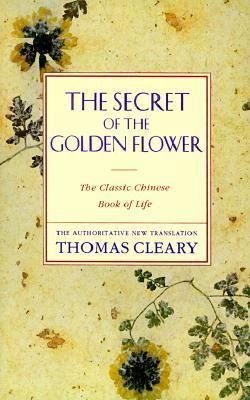 "The Secret of the Golden Flower is a lay manual of Buddhist and Taoist methods for clarifying the mind. A distillation of the inner psychoactive elements in ancient spiritual classics, it describes a natural way to mental freedom practiced in China for many centuries.The golden flower symbolizes the quintessence of the paths of Buddhism and Taoism. Gold stands for light, the light of the mind itself; the flower represents the blossoming, or opening up, of the light of the mind. Thus the expression is emblematic of the basic awakening of the real self and its hidden potential.In Taoist terms, the first goal of the Way is to restore the original God-given spirit and become a self-realized human being. In Buddhist terms, a realized human being is someone conscious of the original mind, or the real self, as it is in its spontaneous natural state, independent of environmental conditioning.This original spirit is also called the celestial mind, or the natural mind. A mode of awareness subtler and more direct than thought or imagination, it is central to the blossoming of the mind. "The Secret of the Golden Flower is devoted to the recovery and refinement of the original spirit.This manual contains a number of helpful meditation techniques, but its central method is deeper than a form of meditation. Using neither idea nor image, it is a process of getting right to the root source of awareness itself. The aim of this exercise is to free the mind from arbitrary and unnecessary limitations imposed upon it by habitual fixation on its own contents. With thisliberation, Taoists say, the conscious individual becomes a "partner of creation" rather than a prisoner of creation.The experience of the blossoming of the golden flower is likened to light in the sky, a sky of awareness vaster thanCleary, Thomas is the author of 'Secret of the Golden Flower The Classic Chinese Book of Life' with ISBN 9780062501936 and ISBN 0062501933.